Quite a few social media marketers are busy promoting online competitions to engage with participants and to build up their lists. This kind of activity is very effective to increase traffic to your website, especially if you offer a good prize. If you offer a good visible prize, it could be instant eye candy for your audience, and it could go viral. If you think that this is a simple solution to build up a list and that you only have to promote the prize on your Facebook Fan Page and instantly get thousands of new followers…think again. Careful planning and research needs to be done before you launch your campaign to ensure you get the results that you want to achieve. Here’s a couple of basic tips to get you started with your social media competition campaign. Always start any campaign with a clear understanding of your social media objectives. Plan and anticipate the promotional concept of the desired outcome you want to achieve. By doing this, you shouldn’t just anticipate the mechanics, but also the limitations you will be facing. Who will be your expected targeted audience? How old is your audience? Where do they come from? It is important to understand your audience before you can market to them. Ensure that the competition you will be running will be appealing to your targeted audience for the activity to be effective. Make sure you set clear requirements for the participating audience to comply. Decide on the social media channels you are going to use to promote your competition. 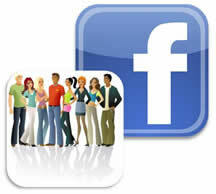 Select which social networks you are going to use to broadcast information regarding the competition. Will it be your blog, Facebook, Twitter, YouTube, or a combination of all the channels? When selecting the channels you are going to use, be sure that you are familiar with their promotion guidelines. In the past there have been a number of cases where brands have lost their Fan page on Facebook because they didn’t comply to the Facebook guidelines when running a competition on Facebook. Different channels have different guidelines so be sure to read them all. Always remember your marketing objectives for the competition you will be running. Don’t put all the information straight on the channel you will be using at the start. Start with a tease so that your audience can get curious on what the competition is about. This can help with generating traffic, subscribers and new followers. Running a competition can be very effective if you follow the simple guidelines above.